It is high time for modernization. Well, sort of. In the present article we are taking at least one step forward in time compared to Even More Real Pop Classics of the 1970s and concentrate the search light on the Eighties. As the one about the ‘70s, this article excludes British and US Top 50 listings just to make sure obvious and well-known tunes do not dilute the list. Springfield, Missouri, has despite its population of only 170,000, been a musical breeding ground for a long time. Residence of stars like Wayne Carson and Ronnie Self, and the influential radio station KWTO (Keep Watching The Ozarks), spawning the Ozark Jubilee TV-show that made nationwide impact – especially during the late ‘50s – contributed to the fertile music soil Lou Whitney landed in when he moved to Springfield in 1970 and started to engage in the local music scene – first by playing bass in cover bands and then in bands that also wrote their own material. 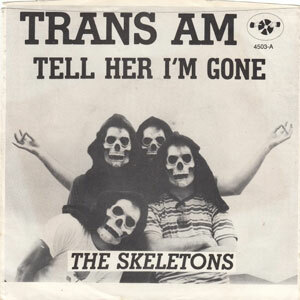 The Skeletons and their Pontiac glorifying anti drafting Trans Am (written by Lou Whitney) was sandwiched between Whitney’s previous band The (Original) Symptoms and The Morells (that ignited Ben Vaughn´s music career, by the way). After some years of hibernation, The Skeletons started to rattle again resurrected by the fittingly named compilation Rockin’ Bones issued by the Scottish label Next Big Thing in 1987. 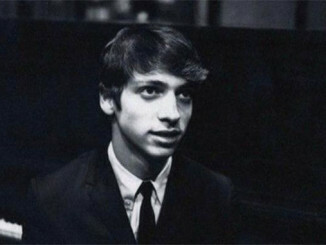 The Skeletons also backed a variety of artists, such as: Scott Kempner, Jonathan Richman and Syd Straw. Besides all that, Lou Whitney produced and engineered many records in his Springfield studio. Almost 60 years old, he unexpectedly got some significant income boost and recognition for his short appearance in the Jack Daniels Hard Cola commercial. Lou Whitney stayed true to Springfield right up to the end in 2014. This mentally unbalanced maverick should be known to most of you. Roky Erickson is included here since his post The Thirteenth Floor Elevators stuff displays a bifurcation of the former psychedel-ish music in to a rock stream and a pop stream; as the differing styles of the A- and B-sides on his first solo singles Two Headed Dog/Starry Eyes  and Bermuda/The Interpreter  demonstrates. His pop output contains many wonderful songs in which his sharp and distinct voice comes to justice, introducing the intense counterpoint from his tougher material. Nothing In Return is from his wrongfully overlooked mid-‘80s album Don’t Slander Me. 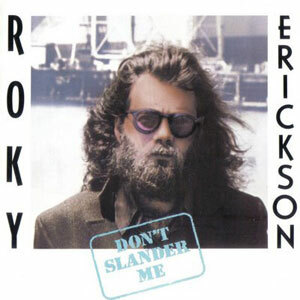 This song, as many of Roky Erickson’s pop songs, is clearly molded in the vein of his fellow Texan Buddy Holly. 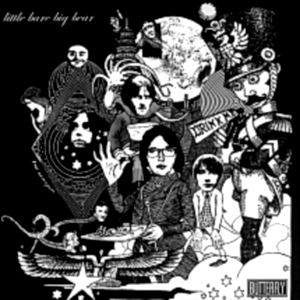 Buddy Holly’s influence on Roky Erickson is obvious in the warm up session for The Aliens as shown by the Don’t Knock The Rok! (Norton, 1978/2004; What To Do; You’re The One, and Love Is Strange). Same thing in The Holiday Inn Tapes (Fan Club, 1987), where Roky and his acoustic guitar, puts across True Love Ways and Peggy Sue Got Married – unfortunately through a second-rate tape recorder. But there is more self-written material of the same kind: Clear Night For Love (1984), You Drive Me Crazy (1986), We Are Never Talking and For You (I’d Do Anything) [both 1995]. PS. Don’t miss T-Bone Burnett’s cover (another Texan-raised musician) of Nothing In Return from the Roky tribute album Where the Pyramid Meets the Eye . 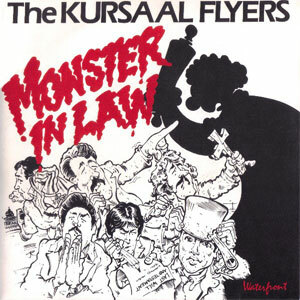 If you, by chance, thought that Kursaal Flyers threw in the towel for good when they disbanded in 1977, I will try to prove you wrong by this B-side of the vanguard single taken from their formidable reunion album (with one of the wittiest titles of all): A Former Tour De Force Is Forced to Tour . 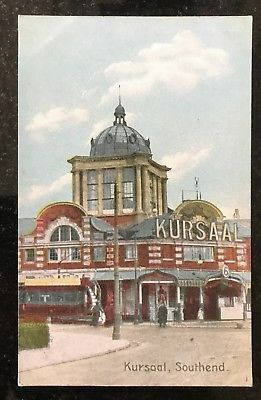 The Kursaals displayed a rather laidback and country influenced profile just after they started rolling in 1973, but they added pop and new wave elements gradually – although they never dismissed the pedal steel and banjo completely. Their commercial and artistic peaks did not coincide if you ask me. The (Mike) Battered Little Does She Know made it to # 14 in the UK singles chart in November 1976; this song made them literally clean up their act as shown on Top Of The Pops. Their artistic peak, on the other hand, occurred just before they disbanded. Of the killer quartet of songs that proves that, only Television Generation was released shortly after the recording. Girlfriend Kinda Guy, Girls That Don’t Exist and Everything But A Heartbeat emerged officially first on the compilation In For A Spin  – however, these songs circulated on bootleg cassettes before that. Some of the members made individual efforts in the ‘70s as solo artists (Paul Shuttleworth) or in a band (Will Birch in The Records and Graeme Douglas in Eddie and the Hot Rods). Evidently, they longed for each other so much they eventually had to reunite. The drummer, Will Birch, have written two acclaimed music books: No Sleep Till Canvey Island  – compulsory reading about pub rock – and Ian Dury’s definitive biography . 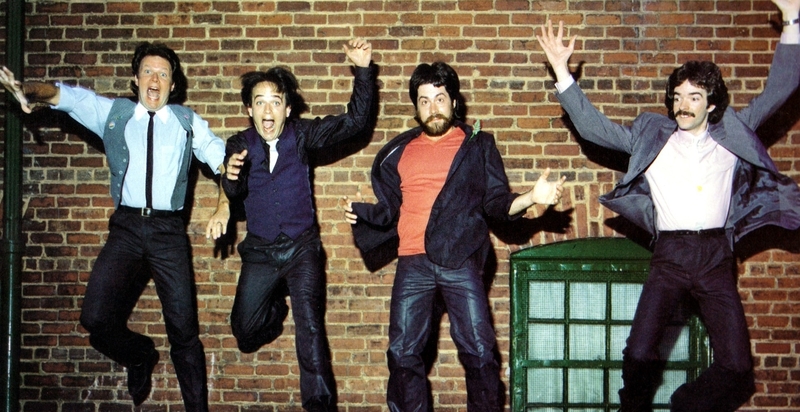 Not long after the expectations of The Distractions’ marvelous – but at that time much overlooked – debut album Nobody’s Perfect  failed to materialize, the group started to fall apart. Quite understandable, since Nobody’s Perfect displayed all hit album qualities you can imagine. 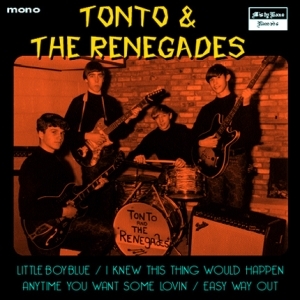 It was even sweetened (to no avail) by a jangling cover of Eden Kane’s UK # 8 hit from 1964, Boys Cry, released as the first of two singles from the album. Formed in 1975, The Distractions drew attention in their Manchester-area right from the start. They recorded some really good songs for minor companies before they were signed to Island Records in 1979; the punkier 12” EP You’re Not Going Out Dressed Like That  and the pop pearl Time Goes By So Slow . Line-up changes just after the release of Nobody’s Perfect did not make things better, and they disbanded in 1981. Steve Perrin (guitar) and Mike Finney (song) constitutes the driving force behind the band and they re-united the band in the 1990’s and again, twenty years later, this time with new material on Occultation Records. Despite their recent gigs in 2017, the last album is called Kindly Leave The Stage ; giving a hint of where they think they are heading. Hopefully, successful crowd funding for the planned retrospect Parabolically Yours can make them change their minds. 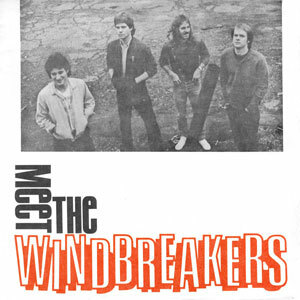 That Girl from The Windbreakers self-released debut EP, Meet The Windbreakers, is put next to The Distractions in this article because this song reminds of an unpolished pearl fitted for The Distractions’ Nobody’s Perfect album – although the two group’s inspirational background differs completely. Larry Nix (brother of Don Nix) was called in for mastering the EP because of his experience with Big Star. As only five-hundred copies were pressed up, this record eventually became a collector’s item. The Windbreakers formed in 1979 and was propelled by the yin and yang couple of pop, Tim Lee and Bobby Sutliff, for little more than a decade. They got some repute after they teamed up with Mitch Easter to record (in Easter’s parents’ garage) the six-track 12” follow up to the debut, Any Monkey With A Typewriter . After that, things started to roll, initially by touring with Easter’s band Let’s Active. 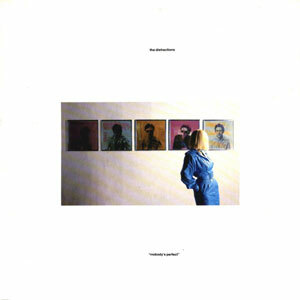 The Windbreakers released first one album [Terminal; 1985] on Homestead Records and then a three song 12” plus four albums on the DB label between 1986 and 1991. Both Tim Lee and Bob Sutliff, (sometimes with the help of each other) also put out some great albums in their own names with various constellations – including collaborations with Matt Piucci, Gene Holder, Janet Wygal, and Russ Tolman – from the mid ‘80s and onwards. Often regarded as “power pop” band – mostly a milder variant if you ask me; but the power moniker is justified by one of The Windbreakers’ lineups, showing ability to muster the essence of power pop in this uncommonly authentic live recording of a Cheap Trick classic. Paula Pierce started playing guitar already at an early age and became member of several bands as a teenager (The Rage, The Digits, The Direct Hits, (The) Action Now) before she started to helm The Pandoras in 1983. The turnover of members in these bands was so intense that Peter Frame would have to hire a whole bunch of assistants in order to complete this Rock Family Tree. Her artistic inspiration progressed from Mod/Pop to Garage punk and, later on, to hard rock during the one and half decade she was active in the music business. Anyone But You was written in the early ‘80s, shown by a live recording from 1981 of this song on (The) Action Now CD All Your Dreams… And More 1981–1984 [released in 2003] when she was more into pop than the garage rock that was the initial trade mark of The Pandoras. The Mod influenced up-tempo Motown style is clearly noticeable here. The title song of Stop Pretending album was also made up during the Pre-Pandoras period, giving this album a somewhat poppier touch compared to the previous one, It’s About Time . Paula Pierce died suddenly in 1991, far too early and with many things unaccomplished. A close shave concerning the qualification rules of this list, since Teacher Teacher was a minor US hit (# 51) and somewhat bigger one in Canada (# 31). Nevertheless, this A-side of the second single from the only album released under this constellation’s Rockpile name: Seconds of Pleasure; other records were released, but in the name of either Nick Lowe or Dave Edmunds. 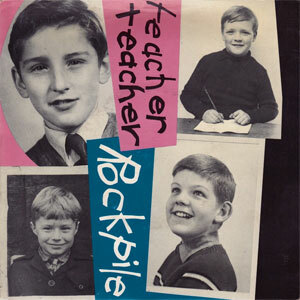 Teacher Teacher has an interesting background in view of the fact that it was written by Eddie Phillips (violin bow guitar) and Kenny Pickett (singer) – two former members of the ‘60s British group The Creation. 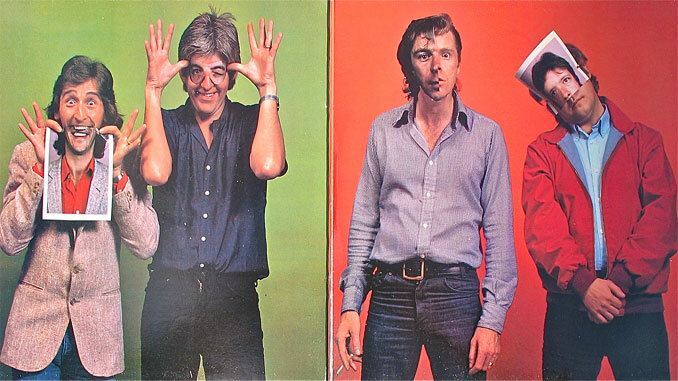 The Creation and Rockpile members first crossed paths when Nick Lowe was engaged in producing a Creation album at the end of the seventies for Jet Records. 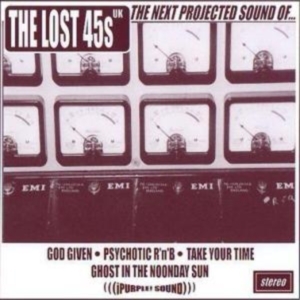 The project did not come about since the record company gave it thumbs down after listening to a version of Lay The Ghost. Parallel to these kind of efforts, Eddie Phillips and Kenny Pickett kept writing songs together throughout the ‘70s and, and as Kenny Pickett knew Billy Bremner (the Rockpile guitarist) very well, Teacher Teacher reached Rockpile as a demo through him, Eddie Phillips told in an undated interview. A version (not the original demo, though) of Teacher Teacher can be found on Eddie Phillips’ Riffmaster Of The Western World CD . Eddie Phillips also produced a less enjoyable and one minute too long version with the British band Flint released as a single B-side in 1981. And yeah, Teacher Teacher ended up on the soundtrack of the movie Bad Teacher , adding deservedly to the royalty accounts in question, I reckon. Have You Ever Been Torn Apart? There is no doubt that British ‘60s pop (especially The Beatles) was the main influence already from the very start when The Spongetones formed in 1978 – as is proved by the debut single You’re The One  and the 1980 WCNC session in their hometown Charlotte, North Carolina, USA, when they professionally mimic the originals from the Sixties. 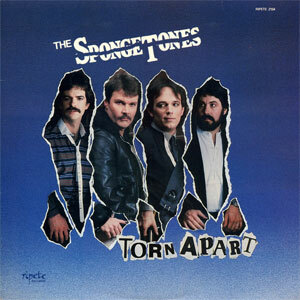 But the song selected here, Have You Ever Been Torn Apart?, initially included on their 12” EP Torn Apart, was recorded a few years later when their pop sound had substantiated and became richer. For some obscure, but justified, reason was Have You Ever Been Torn Apart? also released as a single in Denmark (of all places) on Mega Records in 1985. The Spongetones released just one album, one 12” EP and two non-exclusive 7” singles on the small, but nevertheless many-sided, South Carolina label Ripete Records in the ‘80s. The 12″-ers are definitely safe investments in the pop market. Those two were conveniently re-issued as the 1994 CD Beat & Torn; listed as # 25 of all time power pop albums by John M. Borack in his book Shake Some Action . 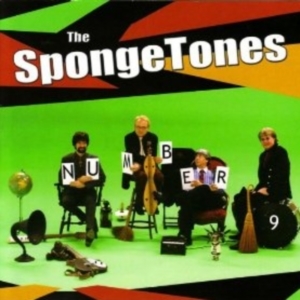 As firm stalwarts of pop, The Spongetones have continued to make records since then; the latest was released in 2009 on Loaded Goat Records – what appears to be their own label, that also has launched albums of Spongetone members Jamie Hoover and Steve Stoeckel. 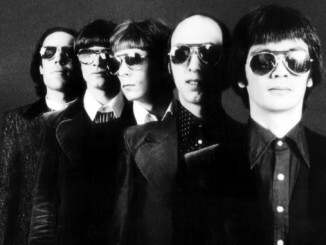 The Spongetones have also contributed to Top Shoe Fetish: A Tribute to the Shoes with a cover of Curiosity from The Shoes’ album Boomerang . Dear Friend is the flipside of Flying Color’s first and only single. The song later appeared on their only album (s/t) in 1987 [Frontier] and also emerged on a European single [Shigaku Presents] same year. 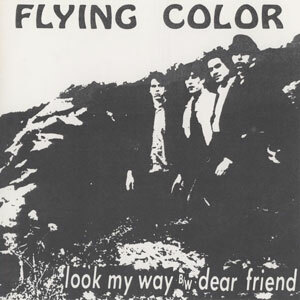 Flying Color formed 1984 in San Francisco seemingly driven by the idea of exploring how far the jangly Rickenbacker sound could be taken. Hector Penalosa is the most well-known founding member because he once played bass in The Zeros, a San Diego area punk band. The recorded production by Flying Color went off like fireworks, symbolized by their album – a set of impressive pop songs that disappeared rather quickly after being appreciated only by a clique of pop aficionados and initiated reviewers. Such fate is not a total surprise, since high class pop only exceptionally had major commercial breakthroughs after the ‘60s. Chris von Sneidern filled a guitar vacancy at the age of 19 when the album was released, which kept Flying Color flying for another couple of years before they finally disbanded in 1990. The members happened to meet again in 1996 around the time Spanish Munster released the album (on a CD with three extra tracks), but without leaving any (easily found) official freshly recorded traces. Three fourth of them went on to form Map of Wyoming while Chris von Sneidern began in 1993 to accumulate an impressive discography of his own. Jack Lee has been some sort of a pop icon ever since he formed the power pop trio The Nerves, together with Paul Collins and Peter Case in the mid-’70s. 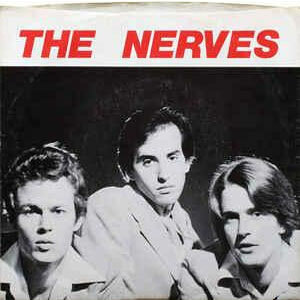 The Nerves released a seminal EP in 1976 (originally released in 2 000 copies; Bomp! pressed a second batch later on) and split after an intense period that did not yield any output besides the EP at that time. All members were extremely talented on their own right. 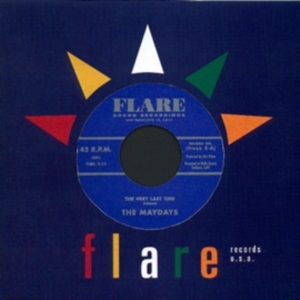 Collins and Case went on and started The Beat and The Plimsouls, respectively, while Jack Lee persuaded a solo career. 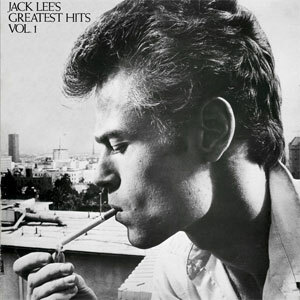 His rather short stint for stardom took off with the somewhat confusing album naming Jack Lee’s Greatest Hits Vol. 1 , which opens with Good Times. A second, less robust self-titled album, came in 1985. After that: not very much. The two albums were combined and reissued in 2016 by Alive Records with an extra track as Bigger Than Life. Fervent hit pursuer Mike Chapman produced two of Jack Lee’s songs: Hanging On The Telephone by Blondie [a single from Parallel Lines, 1978] and You Are My Lover by Suzi Quatro [a Blondie-ish album track on Suzi… and Other Four Letter Words, 1979]. Another noteworthy detail, originally published in Mojo 2007, is that Jack Lee literary was saved by the bell when Debbie Harry called him in 1978 because she asked if Blondie could record his song on the very day Lee’s electric power was supposed to be disconnected due to unpaid bills. 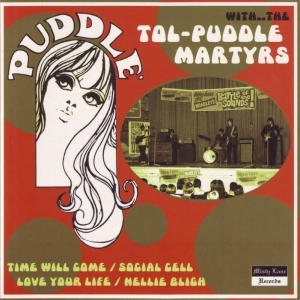 Jack Lee, Paul Collins and Peter Case, a trio that branched out and made a giant foot print in the pop music ecology. Sign me up for PopDiggers newsletter!